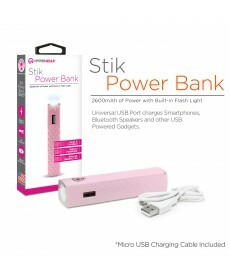 Designed to fit right in your purse or pocket, the portable HyperGear Stik Power Bank proves to be that go-anywhere ultra-modern charger. 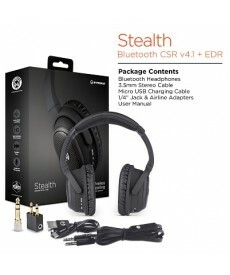 By simply using the included USB cable, extend your talk, music, and gaming exp.. 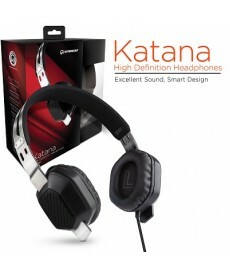 The Freedom BT150 combines impeccable stereo sound with the go-anywhere convenience of advanced Bluetooth Technology. The lightweight flexible neck strap provides a stylish and comfortable hold and features a built-in.. Designed and engineered to deliver superb sound, the HyperGear MiniBoom is the perfect wireless speaker for enjoying your music anywhere you go. 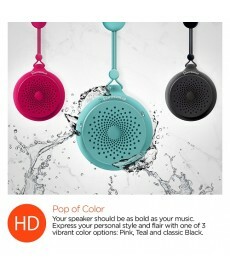 Compact and portable, the MiniBoom boasts amazing sound for up to 3 hour..
Splash is a wireless Bluetooth speaker specifically designed for the shower, but so lightweight and portable, you can use it anywhere. The strong suction cup holds the speaker firmly to any smooth surface, even in the..
Never enough wall sockets to meet your charging needs? 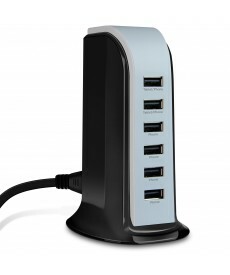 The Power Tower 6 will end your indoor power struggles and simplify your charging experience by transforming a single wall outlet into a multi-device charging sta..
It’s a hassle to hunt down free outlets when you’re on the go. 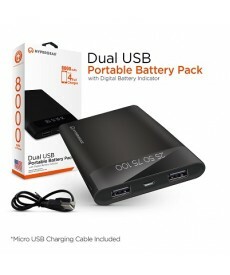 Active lifestyles need portable power. This pocket-sized powerhouse is the ultimate all-in-one solution to keep your everyday essentials powered up. Featu.. Spend less time juggling your devices and stay focused on going further, faster, harder, longer and better than before. 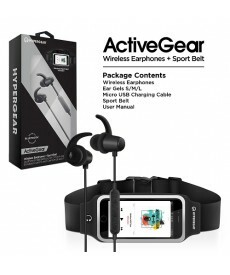 The ActiveGear Wireless Earphones and Sport Belt helps maximize your on-the-go performance by com.. 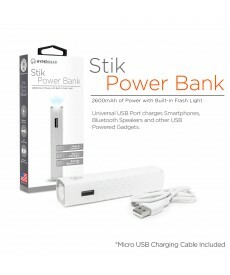 Enjoy peace of mind that you have the best possible backup power source for your mobile devices whenever you’re away from an outlet or off the grid. 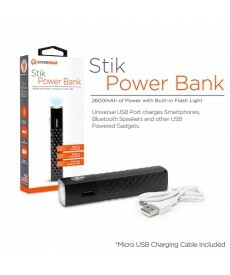 This high-capacity portable battery is shockingly lightweight for th.. Spend less time juggling your devices and stay focused on going further, faster, harder, longer and better than before. 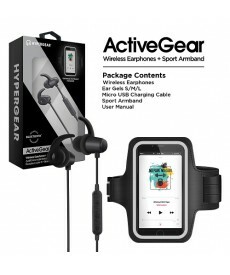 The ActiveGear Wireless Earphones and Sport Armband helps maximize your on-the-go performance by .. 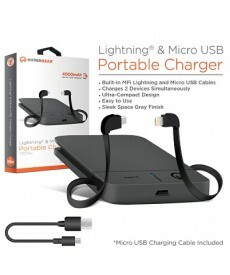 Enjoy wireless freedom, superior stereo sound, comfortable skip-free listening, and hands-free calls for up to 5 hours on a single charge! 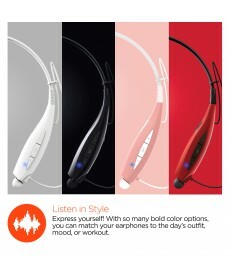 Perfect for weekend warriors and serious athletes, the Flex 2 provides the imm.. 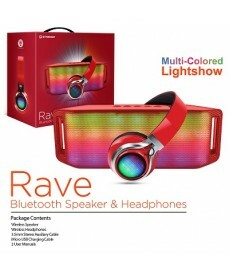 Whether you want to party solo and keep your music to yourself or rock out a party as the designated DJ, the Rave Wireless Speaker and Headphones Set has you covered. 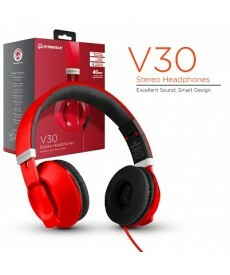 Each device delivers booming sound, precision bass.. Experience wireless music like never before. 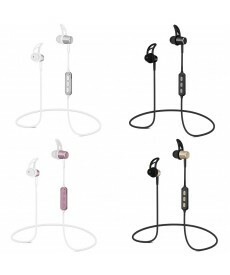 MagBuds are crafted with powerful 10mm neodymium drivers to deliver incredible Hi-Fi sound. 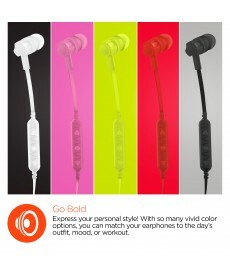 These sweat-proof earphones have ergonomic ear gels and flexible secure-fit ear ..